At EMO, GEORG will be presenting the integrated two-point measurement system for horizontal machining centers of its ultraturn MC series. 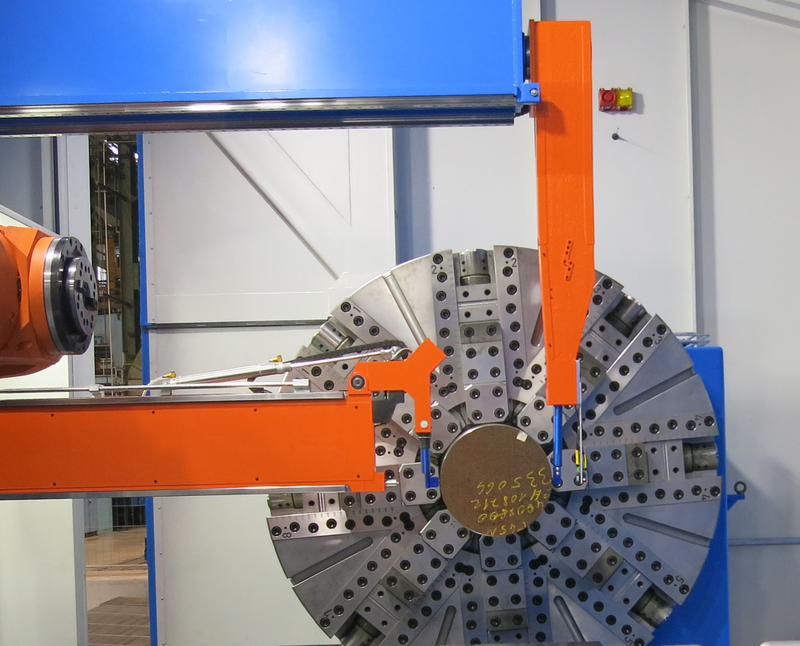 These machines process workpieces weighing 10 tons and more and with diameters of 1,000 mm upwards. No other manufacturer in the world combines machining and measuring in a single unit of such size. With the two-point measurement, GEORG has for the first time integrated quality control directly into the manufacturing process: ultraturn MC is worldwide the first series of machining centers for large turned parts in which the diameters of the workpiece are not measured with just one probe, as has been common practice so far. 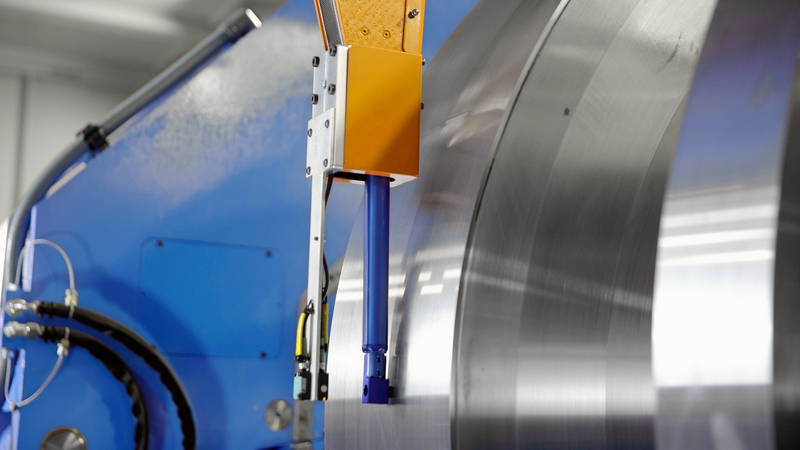 Instead, GEORG uses a travelling two-point measuring system attached to the frame, which automatically measures the workpieces directly in the machine with two opposing probes. This technique ensures high precision and high reproducibility. ultraturn MC machines are used among other things for the complete machining of turbine and generator rotors as well as crankshafts. While a measuring team would need several hours to manually measure the diameters or the axial run-out of workpieces on the machine, the measurement with the integrated two-point system is completed after just a few minutes. By integrating this function into the machine, GEORG is a worldwide pioneer. The two-point measuring system which GEORG is demonstrating at the trade fair on a machining center of the ultraturn MC series is also applicable to the company’s classic lathe series for roll and turbine rotor machining. Furthermore the system can be retrofitted to existing lathes – to those made by GEORG or other manufacturers. Just recently, GEORG has successfully retrofitted a two-point measuring system to a lathe in operation for several years at Siemens in Mülheim/Germany. 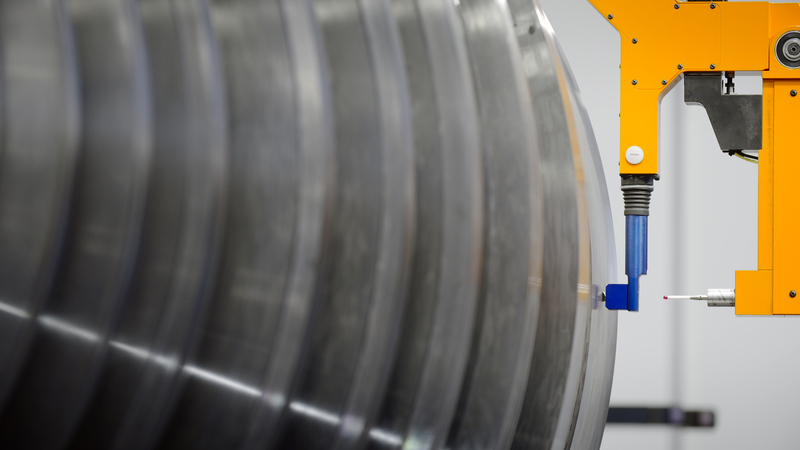 Like the large machines of the ultraturn MC type, designed to machine parts of up to 250 t weight, also the smaller ones are based on the classic GEORG concept: robust cast construction - instead of the frequently common welded construction – and hydrostatically guided axles. The result: high precision in machining, low maintenance and long lifetime.